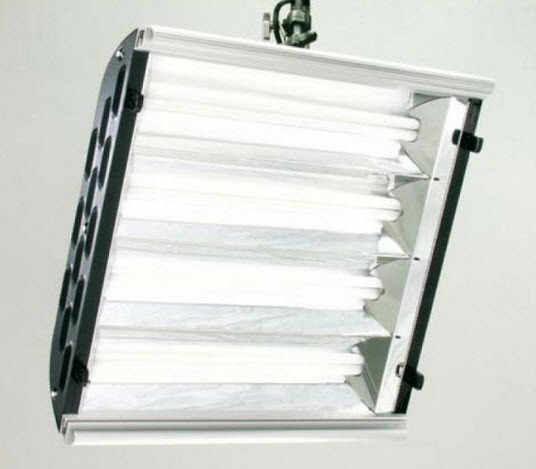 The ParaBeam 400 and 200 studio fixtures display about the same amount of soft light as a 2,000 Watt and 1,000 Watt tungsten light, respectively. But ParaBeams only use 1/4th as much power! Both studio lights take Kino Flo True Match® high color rendering lamps (CRI 95).